The WTO procurement committee approved Australia’s membership in the WTO Government Procurement Agreement (GPA) in October. It will become the 19th GPA party when its accession is finalized. 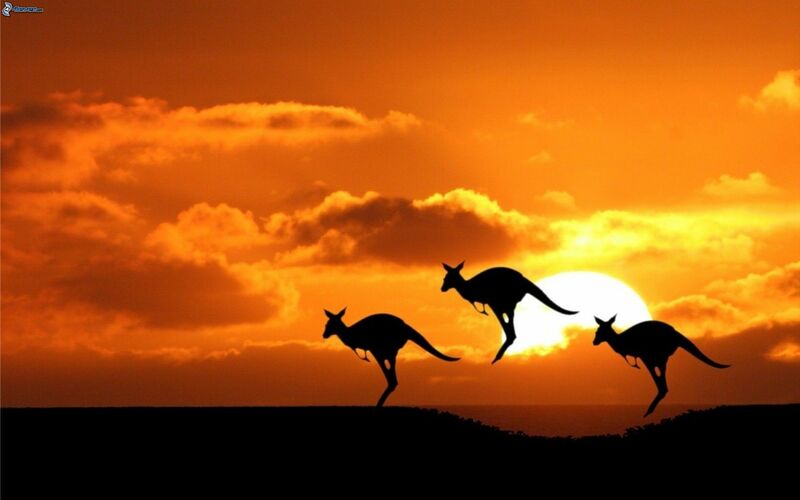 This post examines Australia’s commitments and reservations under the GPA, taking into account its comparable undertakings under the 2005 Australia-United States Free Trade Agreement (AUSFTA) and the Comprehensive and Progressive Trans-Pacific Partnership (CPTPP). It also examines the restrictions that the European Union (EU) and several other parties will place on Australia’s access to their procurement markets. Australia’s accession to the GPA will build on its 13-year old bilateral agreement with the United States, as well as the more recently negotiated CPTPP, the 11-country agreement that advanced after President Trump withdrew the U.S. from the Trans-Pacific Partnership (TPP) in January 2017. The CPTPP is expected to enter into effect before the end of 2018. The texts of the AUSFTA and CPTPP are closely aligned with the GPA. However, the AUSFTA provided certain flexibilities to accommodate Australia’s practices, in particular with respect to the use of selective tendering; it allows a procuring entity to limit participation to suppliers that have been granted a license or that comply with specific legal requirements not related to the procurement. Australia will need to modify these practices to comply with the GPA and CPTPP. Australia will apply the same thresholds under the GPA and CPTPP. For the procurement of goods and services, it will use the following thresholds: for central government entities, the commonly used threshold of 130,000 Special Drawing Rights (SDRs); for states and territories, a threshold of 355,000 SDRs; and for government enterprises, a 400,000 SDRs threshold. The AUSFTA provides lower thresholds for central government entities and government enterprises. Australia uses a five million SDRs threshold for construction services in all agreements. For its central government entities, Australia closely follows its coverage under the CPTPP and U.S. FTA but offers three more federal entities under the CPTPP than the GPA. In the GPA and CPTPP, Australia explicitly excludes procurement by or on behalf of the Australian Government Solicitor. It lists the same government enterprises entities under the GPA and CPTPP, but slightly fewer than under the AUSFTA. Australia covers all of its states and territories and generally the same entities under them in both the GPA and CPTPP. Several states and territories list a few more entities under CPTPP than under the GPA. The AUSFTA also has broad sub-central coverage. Under the GPA, Queensland is allowed three years to comply with the requirement to publish a notice of the award of a covered contract in order for its entities “to make the necessary modifications to electronic means” to publish such information. In addition, Western Australia is permitted, in certain procurement, to not consider a request for participation from a supplier unless it has been prequalified when the procurement is announced. With regard to the coverage of goods, Australia excludes the procurement of blood and blood-related products, including plasma derived products, in all agreements. It also excludes the procurement of motor vehicles by its central government under the AUSFTA and CPTPP with no time limitation. But, that exclusion under the GPA only applies until January 1, 2019. Australia will become the 4th GPA party to base its services coverage on a negative list: it covers all but four categories: plasma fractionation services; government advertising services; health and welfare services; and research and development services. (The U.S., New Zealand and Ukraine also cover all services except those specifically excluded.) Australia excludes the same services in the CPTPP and AUSFTA, except health services, which are not excluded in the bilateral AUSFTA. Australia covers all construction services under its agreements. However, unlike in the CPTPP and the AUSFTA, its GPA coverage does not include build-operate-transfer contracts. Australia maintains several exceptions. They include an exclusion in all agreements of “any form of preference” for small and medium enterprises (SMEs). In addition, it takes a reservation in the GPA that is not found in the CPTPP or the AUSFTA: in order to protect sensitive government information, its procuring entities may use technical specifications “that may affect or limit the storage, hosting or processing of such information” outside its territory. In response to Australia’s coverage, the EU, Iceland, Liechtenstein, Norway and Switzerland have qualified its rights to their GPA-covered procurement, similar to restrictions that they place on other GPA parties, including the U.S. The restrictions include matching Australia’s higher thresholds for sub-central entities and government enterprises. The EU also withholds access to procurement by certain central government entities of member states (those marked with an asterisk), smaller regional and local contracting authorities and utilities in the fields of drinking water; electricity; airports; ports; urban railways and railways. It also denies Australian SMEs the opportunity to challenge an EU procurement under domestic review procedures as long as Australia maintains discriminatory measures that favor SMEs. It further does not cover procurement of motor vehicles and components of motor vehicles with respect to Australia. The other parties maintain similar restrictions. Australia will become a GPA party 30 days after it submits its Instrument of Accession to the WTO Director-General, indicating that it has completed its domestic procedures for accession; it must complete that process within one year. Australia applied for GPA membership in 2015.